This is the second of my few looks of the week toying with black and white in different iterations. 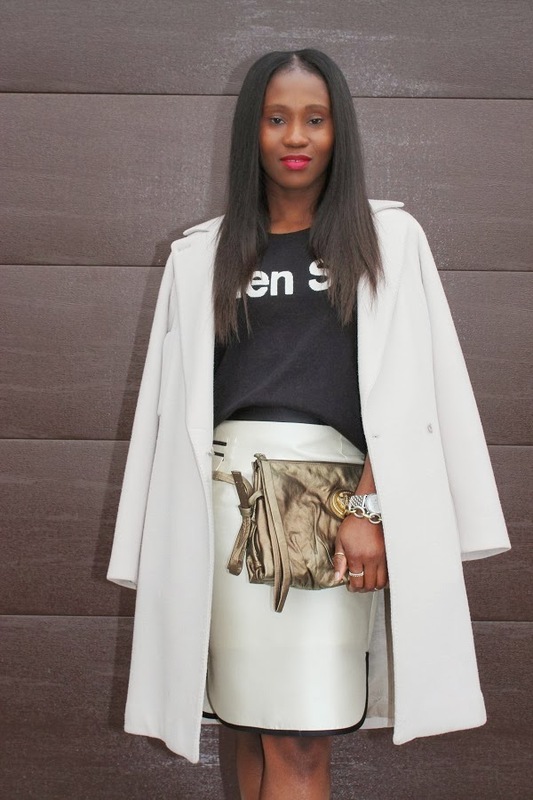 With this look, I opted for my “Bien Sur” sweater styled along with gold accessories. I selected one of my favorite over-sized clutches, an oldie but goodie, the Gucci Hysteria clutch. I love it because of its size and fluidity. Pull out a classic piece of yours and make it new again today.